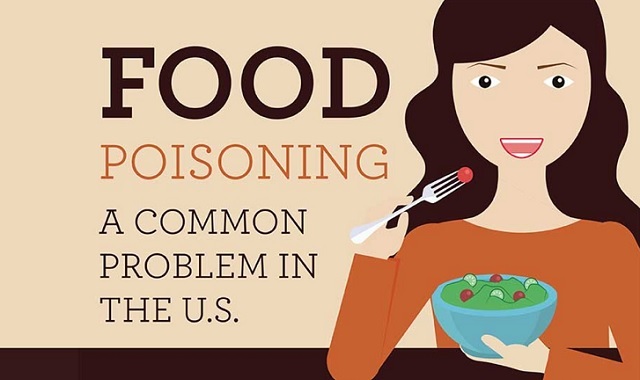 Food Poisoning: A Common Problem In the United States #infographic ~ Visualistan '+g+"
Food poisoning is a common problem in the US, but it’s also an issue that not many people are aware of. Surprisingly, every year 50 million Americans (1 in 6) become ill because of food poisoning. An illness like this won’t present itself for days after the ingestion of contaminated food. Usually, mild symptoms follow however (in more extreme cases) this can quickly escalate and it may even require hospitalization. Unbelievably, 3.000 people die and 128.000 are hospitalized yearly in the US after eating tainted food. The most common culprits for food poisoning are produce, meat, poultry, dairy, eggs, fish and shellfish.